DownloadSpin: VIP Quality Software - April Fools Day Checklist 1.08 review and download, April Fools' Day just begs us to play pranks and dupe our unsuspecting friends.. Description: April Fools' Day just begs us to play pranks and dupe our unsuspecting friends and acquaintances. On this day you're supposed to act completely silly, so there's no better time to party! 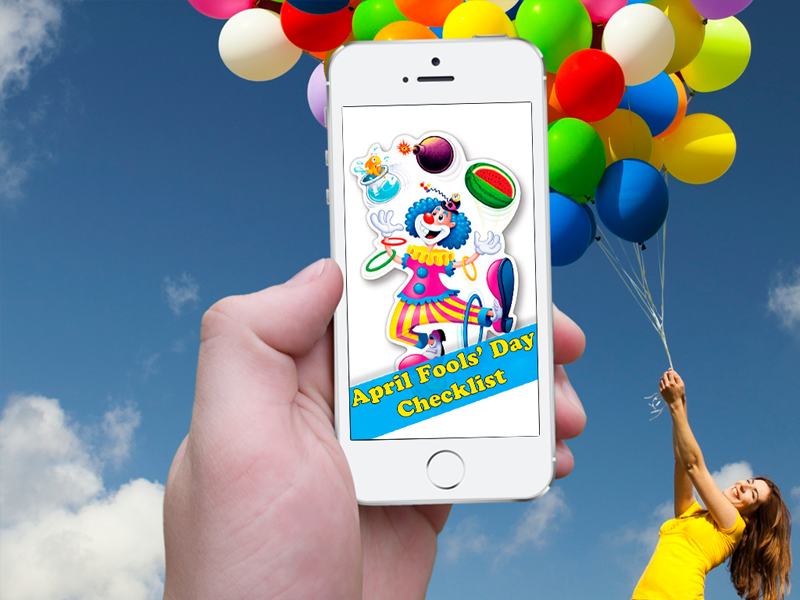 With our April Fools' Day Checklist, you'll surely have fun planning funny jokes and pranks to put on at your party.Though historical evidence is ambiguous, most believe that when the Gregorian calendar was adopted in the late 1500s, the New Year was moved from April 1 to January 1. Those who kept to the old tradition and the old date were labeled fools, hence the association. From that time April Fools' Day is a great holiday when people in various countries are encouraged in playing funny jokes on their friends and families. Use this app to find out how to easily get prepared for the holiday celebration:* Check out our April Fools party ideas* Get started with your party planning* Be alert and know how long it's okay to joke around forApril Fools' Day comes but once a year so don't miss the opportunity to play a few pranks on family, friends and coworkers. Share laughs and practical jokes with your people at an April Fools' day celebration. Just expect to have a few played back on you!